Rent W San Francisco | Corporate Events | Wedding Locations, Event Spaces and Party Venues. W San Francisco Hotel is a gathering place for art exhibitions, film screenings, fashion and music events. Bask in panoramic views of the Bay Bridge and the city skyline at W San Francisco, across from the beautiful Yerba Buena Gardens. Stay connected or celebrate in our 3,430 square foot Great Room with floor-to-ceiling windows and glamorous décor. 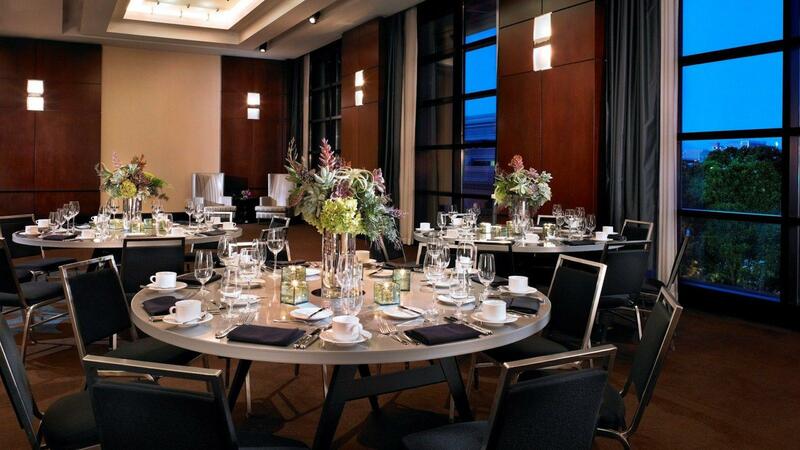 The W San Francisco also features a WIRED business center, advanced audio/visual equipment and creative catering so your San Francisco events make a bold statement. From a romantic proposal to a fabulous honeymoon, the W San Francisco is a vibrant setting for your San Francisco wedding or commitment ceremony. Celebrate with extraordinary services and dynamic style that capture your vision. Share joyous wedding memories in 12,000 square feet of high-style event and banquet space, including our Social Terrace which has floor to ceiling windows that overlook the heart of San Francisco. Our signature San Francisco wedding specialists can help you create a wedding celebration that expresses your aesthetic and individuality.